Amish live in over 450 locations across North America. Some are places of great natural beauty. Scenery is something Amish appreciate–so much so that it may even weigh in the decision of where to start a new settlement. Amish, of course, create their own scenery by their very presence. Which are the most scenic Amish communities? I’ve only been to about 10% of the total communities in existence. With that in mind, here’s my best shot at choosing seven. 1. Rexford, Montana— this is the only place on this list I haven’t been to. It’s hard not to include Rexford, though, when you hear what others have said. Grand vistas of the Kootenai National Forest in a tucked-away corner of Big America. 2. Lancaster County, Pennsylvania— The settlement that more outsiders have experienced than any other. Typifies who the Amish are for many. Lancaster has a rich heritage and remarkable historic architecture, along with arguably the most picture-perfect of all Amish farms. 3. Parke County, Indiana— This community of 5 church districts makes the list for another architectural note–its covered bridges. With 31 in the county, Parke County reigns as “Covered Bridge Capital of the World”. 4. Big Valley, Pennsylvania— There’s a reason beyond his exceptional skill that the photos of Bill Coleman capture such attention. The stunning scenery of the Big Valley area and its three diverse Amish groups create a fascinating visual menu. 5. Kalona, Iowa— Why did I put Kalona on the list? Kalona doesn’t seem an obvious choice at first look. It’s scenic enough–rural, with gently rolling hills and sprawling farmsteads, radiating out from around the small town of Kalona, itself home to a historical village. For me Kalona typifies the established midwestern Amish community–it’s small enough that everyone can still just about know (or know of) everyone else, but with a long history and sense of place. Beyond the strictly visual, this choice is more about the feel of a place than any of the others here. 6. Holmes County, Ohio— There are a lot of reasons to include Holmes County— its hilly appeal, charming towns scattered just the right distance apart, and its many Amish groups, showcasing the full range of Amish living, from most traditional to most progressive. My favorite roads to drive lie south of Charm. 7. Lodi, Ohio (Ashland-Medina County)— I wanted to include one Swartzentruber Amish community here. Lodi is the largest Swartzentruber presence in a settlement comprised of only Swartzentruber people. Other large Swartzentruber-only communities can be found at Harmony, Minnesota and Ethridge, Tennessee. To many, Swartzentruber settlements look and feel the most unequivocally “Amish”, with the very low technology, creaky windmills and barns, and for lack of a better term, “rustic charm” of Amish life. So there’s my seven. What would you add to this list? I guess I would add Arthur, IL. Even though it is flat as a pancake here in Illinois compared to those in PA or OH, it has it’s own beauty. Downtown Arthur is full of cute little shops, both Amish owned and “Englisher” owned. The farms are spread out over a large area and you can drive around the countryside for hours discovering new places to explore. Because of it’s flatness you can see for miles out in the country which adds to its beauty. We are blessed here in the United States, every state in this country has it’s own beauty. Some, will prefer certain areas over others. I still miss the hills and mountains of the northeast but have come to enjoy the flatlands of the midwest as well. I love the rocky mountains of the west too and the desert holds its own beauty. I would think it would be very difficult to put a list such as this together because each area has its atributes. Maybe we are biased but I agree with Alice. Twice a year, in March and November, there are several early American antique shows in the Arcola-Arthur area. We have visitors from all across the country who truly enjoy the Amish farmlands and happily share the roads between the shows with the horses and buggies. To see the farms stretching out to the horizon and then to be able to explore the side roads that take you right past the farmsteads is definitely worth the trip. Alice great to hear from you in Illinois. I will join with JJ and say you have a good point, the flat lands offer nice long distance vistas. That being the first Amish community I visited as an adult makes me partial as well. Speaking of shops, hope yours is going well! Sorry I do not get to post much these days but I do try to catch up on reading whenever possible. The shop is doing very well and keeping me quite busy. I won’t get a day off until Christmas but I do love what I am doing very much. Folks here love the Amish products and other items I have to offer. Some of the comments are interesting. I’ll have to send you an email sometime soon and fill you in. You will get a kick out of it, LOL. I would like to add Clare, MI. Whenever we go there, we often visit “Colonville Country Store” which has everything from their beautiful chime clocks, postcards, books, etc. We also visit Surrey Discount Foods, which they just moved recently on the corner of Surrey and Tobacco Rds. Of course, there is the Amish Bakery! I just love visiting Clare. Thanks for the addition Tammy! I would like to visit Clare. Alice Aber, we rarely interact but I wanted to add my message to Erik’s that you’ve been missed and please come see us here at Amish America whenever you can. I love seeing your contributions to the comments. Thanks so much for the kind words!! I really miss being here. You probably know I opened a store in November and that has really kept me hopping. Not only do I offer many of the same items Beachy’s has in Arthur, IL but I also bake on the premises. You might say the store is a “mini copy” of Beachy’s in a way. That has kept my days pretty full as I usually work 12 hours a day. Especially right now with the holidays. Things should slow down just a bit after Christmas and hopefully I will have some more time to spend on my favorite blog, Amish America. 🙂 I also finally took the time to get a computer set up in the store so hopefully when I have a break I can get online a little more. Seems a bit strange having a computer and modern technoglogy in an Amish style store but then I am not Amish and do not pretend to be. I wish everyone a very Merry Christmas and Happy New Year and I do hope to be able to be back on here a little more regular soon. I second what Carolyn says Alice 🙂 I know the new store has to be a big undertaking. Hope the Christmas period goes well for you and all other retailers in this very busy time. The Lagrange folks in particular have such spectacular gardens that they are really beautiful, and most places are very well-kept with buildings in good repair but not as they say in New England “nasty neat”; they look very inviting. I’d add St. Mary’s County, MD … a small settlement with Old Order Amish in the Charlotte Hall area and Old Order Mennonite (horse and buggy)in the Loveville area. I’m partial, because my family is from that area, and yes, it does have it’s own beauty! Robin it was raining the one day I was there, so that may have biased me 🙂 I do like the very long dead-end “lanes” that come off the main roads, with many farms off each one. Are there any Amish or Mennonite communities in Oregon? would really like to know.I”ve lived in Medford for many years,but never knew for sure if there are.Thank you. According to Kraybilland Hostetter “Anabatist World USA” there are no Old Order people in Oregon. There are, however, conservative Mennonites at Brownsville, Cove, Harrisburg, Estacada, Fruitland, Sheridan and Tangent. I have visited Amish communities in Pa., Indiana, New York, and Ontario but when you asked about the most scenic, I automatically thought it had to be in Montana! Thank you,Osiah,for the information.I truly appreciate it.Some of those places are not that far from Medford!Thank you again-God bless you. I am late to this conversation, but this subject interests me so please forgive my reviving a stale thread. I believe Osiah has commented on this before, but some Mennonites who consider themselves Old Order would actually drive cars (Horning Mennonites). “Conservative” would throw the net wider to take in those a step or two beyond the Old Order, who use higher technology but may maintain some plain dress/head covering for women and may incorporate things like Sunday School which are not widely seen in Old Order Anabaptism. I’m sure Osiah can better explain though. I have a serious case of “the grass is greener” over Lancaster Co. Maybe because anytime I am there, the grass actually *is* greener than most other places. I have only been in the southern part of the county, with the occasional foray northwards into the touristy area for a meal or a ride on the Strasburg RR. I often half jokingly daydream about how I could get “stuck” in Lancaster and never find my way out. Good point Naomi, in my mind’s eye it actually does seem a little greener. Garden Spot turns out to be an apt nickname. Robin, that sounds great. I’m sure there is nothing I would enjoy more!!! I would agree with ann. My husband and I love to travel and visit various Amish communities. My favorite is the Charm, OH community. I love the small communities, with downtown areas built along little streets, the curving county roads that wind through farms where homes are built right on the roadside. My second favorite would be the Shipshewana area, if you get into the countryside. Love seeing the farming communities and all the Buggies traveling everywhere. There are so many, they’ve built buggy lanes alongside most of the roads. 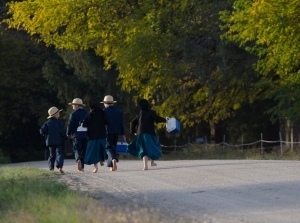 Everywhere you go, there are Amish families shopping and busily hurrying along their way. Most of my travels to Amish communities have been in Wisconsin. Some of my favorites include: Amherst, Wi. (disbanded), Cashton, Kingston, Wautoma, Mondovi/Durand, Loganville and Medford. But really anyplace there are Amish is a favorite to me. I have been the Amish community near Mondovi. Our family was in the area for a brick oven pizza restaurant featured in Midwest Living and on the GPS we saw an Amish school listed. Of course, we located it along with a few shops and a cemetery. Beautiful rolling hills in WI! I remember either hearing on the radio, or reading in a publication, a description of either the Amish or Mennonites in this province, the words describe them something like “our friends dressed in black working their farms and traveling in their carriages against the shadow of the Niagara Escarpment”, though now that I wrote down what I recall I’m thinking that this doesn’t sound right., I am an enthusiast not an expert.. it was years ago, and I’m sure I had heard that in the more southerly and west (compared to the escarpment) when vacationing near and about Aylmer. But of course this post did only focus on the USA settlements, and still, I’d love to see some of these places. I can’t let this go without adding New York State. Being in many areas of my state including the Finger Lakes area. Seeing the horse drawn buggies and the beautiful farms are really something to see. I have visited 3 different Amish communities in the mid west within the past 3 years (Jamesport, MO, Pawnee City, NE and Redding, IA) It may be nice for others but I really thought they were lame. I am from the East Coast and LOVE my Lancaster, PA. Amish. I have either visited every one of these communities (except for Park Co. IN. )or then drove through them. My pick would be Rexford, MT. or then Big Valley, Pa. I would definitely add Barry Rd in Dalton, WI! 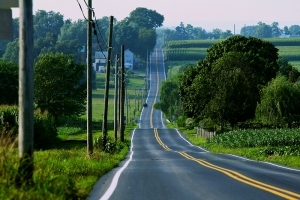 It’s a nice stretch of road where you will find Amish homes, farms, and stores for miles and miles! I know Cashton is the more recognized Amish community here in Wisconsin but the Dalton, Kingston, and Montello area is beautiful. I think my favorite part is how the Amish working outdoors always wave when you drive by! No matter what they are doing! Thanks for posting, Rose. I live in central MN and love planning day trips near the Amish. I will have to add this to my list! highway and you will see many Amish farms. charm in beautiful, hilly settings. I thought about Munfordville when compiling this list Al. Some similarity to Holmes County in the terrain. I got a little lost driving one of those curvy roads you mention off into nowhere while in that community. I do not think it is in existence any longer, but the most scenic Amish community I have seen out of the two dozen or so I have been too, would have to be/have been Burke’s Garden, VA. The views of the Blue Ridge were stunning and this part of VA was very rural, often even primitive. But my favorite overall is definitely Holmes County. Shylie I just googled images of Burke’s Garden…I can see why you mentioned it here. ML, Burke’s Garden is in Virginia. If you look at the top of this page towards the left you will see a link for the “Amish State Guide” click on it and you will find listings of Amish communities in every state. I would suggest you start your search there to find the Amish community closest to where you will be moving to. I’d like to please add Kenton, Ohio to the list! The Amish settlement is just out of town, but the last time I visited Kenton proper, there were still hitching posts outside City Hall, and dotting the town. Just wonderful to see in a town where nearly half my family lived/lives. Also, I have a lot of relatives in Lodi, Ohio. I never knew there was a Schwartzentruber presence there. I’m now wondering if there are reasons my great-grandma spoke Penn-Dutch, and my grandfather learned German after marrying my grandma. I’m curious as to the exact location of the Amish in Lodi, Ohio. As a lifelong resident, I am not aware of Amish living in Lodi. There are a few neighboring communities (West Salem, Congress) who have Amish living in them, but Lodi is a small run down village. Also, Lodi is not located near “Medina-Ashland County”. 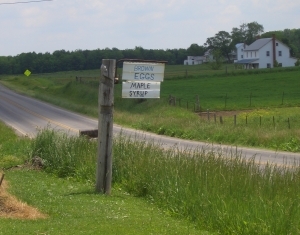 It’s in Medina county, near Wayne County and about 15 miles from Ashland county, where even larger settlements of Amish live. I agree with Jen. My husband works in Lodi and it’s run down, not scenic. On the other hand, we’ve had a lot of work done by small businesses in the Lodi countryside who might be Amish or Mennonite. They’ve fixed our boatcover, replaced a convertible top and replaced our son’s car bumper – and they’re very reasonably priced and do great work. There is a HUGE community of Swartzentruber amish located in Sullivan, OH and expands into West Salem, OH. This group continues to grow every year. We actually already have this one on the list Buck. Number 7 (Lodi) includes Sullivan, West Salem, and other parts of Ashland, Medina, and Wayne Counties. It’s one of the largest of all Swartzentruber communities. I do like that area. I was mostly familiar with the west-central Wisconsin area around Whitehall and Blair – these are very small, quiet, conservative Amish communities. The landscape is gorgeous; the farms are clean, simple, and tucked away on back highways in little valleys. Although there are a few Amish quilt and furniture shops in nearby tourist towns, most of the people are still able to exist on a mostly agricultural way of life – or at least that was true in the mid to late 90s. These Amish are friendly but wary and reserved with strangers. They really do keep to themselves. I was so fortunate to sit in their kitchens and drink coffee and visit. That is an experience not many outsiders have. I also had the opportunity to make the drive from LaCrosse WI down highways 14 and 61 to Dubuque – and east toward Westby, WI and the Cashton and Hillsboro communities. This area of Wisconsin is unspoilt and very beautiful – partly wooded, largely agricultural, with hills and green, lush, shaded valleys. Again, the communities are Old Order and very clean, picturesque farmsteads. I was always taught that you can look out over a farmscape in these areas, and look for motorized vehicles: if you don’t see them, and if the farmhouse is large, rambling, with seemingly illogical additions – it’s Amish. The house will always be white. Occasionally you’ll see an old bathtub out in the middle of a field – when the Amish buy Englisher farms, they take out the bathtubs and put them out as troughs. In the lower south-eastern corner of Minnesota is the town of Harmony – and nearby to this town are Old Order Communities and also some Schwartzentruber (who may live across the road from an Old Order). This is a pretty area – flatter than Wisconsin, but still very northern Midwest, so there are areas of woods and river valleys. In winter they get several feet of snow and the landscape takes on a particularly ancient view, with the Amish homesteads here and there. Within Harmony is an active, commercially-savvy group of Amish, who are very involved with the tourist trade. But if you turn off the highways onto the occasional dirt and gravel road – look for buggy tracks – you can travel a few miles and find little settlements off the radar – no post office or even appearance on the most detailed road maps. The people here are warm, but quietly reserved. The women won’t make eye contact with an outsider, not even another woman. The men are slightly, subtly protective of their own families. They will sell you some eggs, answer your questions and give you directions – if you are respectful of their reserve. You’ll know the Schwartzentruber farms because the lawn isn’t mowed, the house not as well-kept (sometimes not painted) – the drive dirt instead of gravel. The upper Midwest is naturally lovely, and Wisconsin in particular. Many of the Amish in Wisconsin and Minnesota have dairy farms. From what I’ve read of those in Pennsylvania and elsewhere, I feel the Amish in WI and MN are able to maintain a more traditionally agrarian existence. I know there are Amish above Eau Claire where I’ve never visited – that is another beautiful area. There are Amish around Rochester, MN and LaCrosse, WI, who are more liberal communities, and more open to tourists and the industries that force them to come into a lot of contact with Englishers. Well, that’s all I know. My quiet drives into secluded Amish areas through the years were punctuated by lovely farm vistas and tiny historical towns. Whether winter’s silent snow-covered fields and icy roads (the buggies do a lot better over snow than do cars), summer’s heat and lush green pastures, or the beautiful flaming red and orange wooded hills, that area of the country is amazingly beautiful and greatly underappreciated. No wonder the Amish settlement there has steadily grown. I moved away from there over 15 years ago – the Amish I left there still ask my business partner how I am, as if I have gone to another planet. I was an older woman moving across the country on my own, and that seems to be something they have trouble wrapping their minds around, how I could do that and still be safe. Those drives, those days, and those visits, and what I learned from the Amish I knew, will always be some of the most valuable and cherished memories of my life. Susan, wonderful comment. I like how you captured these communities, and also the demeanor of the Swartzentruber folks towards outsiders. I learned a few things too…had never heard of the bathtub as trough. Sounds practical if you’re not going to use it for bathing.